Happy Holidays! I thought I'd kick off December with a giveaway. And it's a good one. 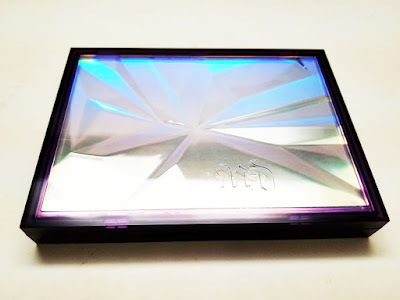 Any Urban Decay fans out there? Well I have an absolutely gorgeous palette to give away. Check it out! The Urban Decay Distortion palette has an endless possibility of eyeshadow combinations. The colors are fun but wearable at the same time. Layer the shadows in the top row over any of the other shades and they'll transform into multidimensional hues. Nine of the shades are brand new too! The palette is also freaking gorgeous - it just looks like a crystal or jewel - this would look lovely sitting on top of your vanity. 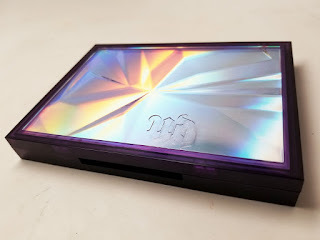 This palette retails for $49 at Sephora or Urban Decay stores and online. 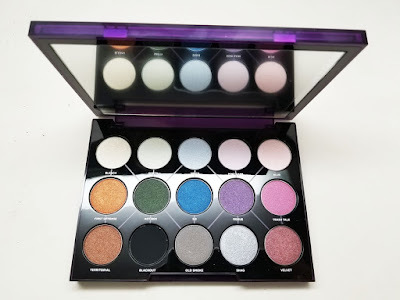 Check out my Instagram because I'm giving this palette away!